Visionary Cities Project / Alexander Eisenschmidt with Matthew van der Ploeg, Monument to Missed Opportunities for the 7th Ward, Chicago. 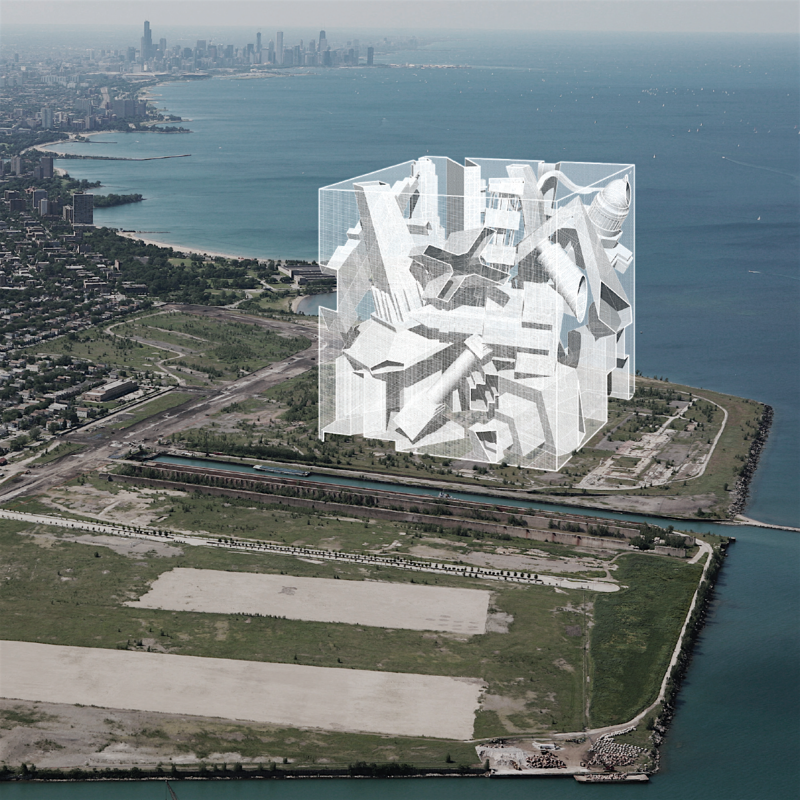 Exhibited as part of “50 Designers, 50 Ideas, 50 Wards,” Chicago Architecture Foundation, May 24 – December 1, 2016. Chicago was once a laboratory for architectural speculation, a prototypical American city and ur-metropolis that lifted its ground, reversed the flow of its river, and invented constructs such as the Ferris Wheel. The Monument to Missed Opportunities is, therefore, as much a reminder as it is an archive and a celebration of projects that never saw the light of day; yet nevertheless remain fundamental for architecture and urbanism, as well as for the history of Chicago. Projects such as Adolf Loos’ Tribune Tower entry, Ludwig Hilberseimer’s vision for Chicago, and Stanley Tigerman’s Instant City are captured in a massive cube by a structural mesh that hold each in mid-air. Now these monuments appear as architectural ghosts, a second skyline, and a challenge to the status-quo, utterly different from the one we see in the distance.